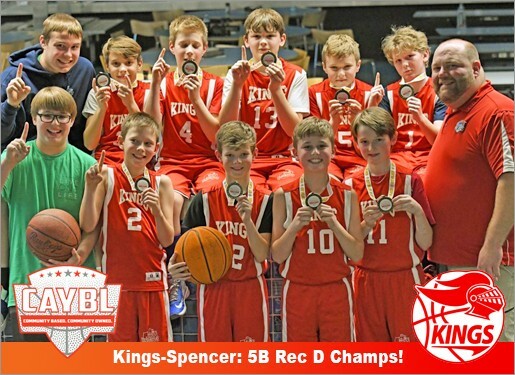 Kings-Spencer: 2017 CAYBL 5B Rec D Champs! Updated Thursday April 13, 2017 by KBA Board. Congratulations to Coach Spencer's players and staff on an awesome run through their 2017 CAYBL tournament!